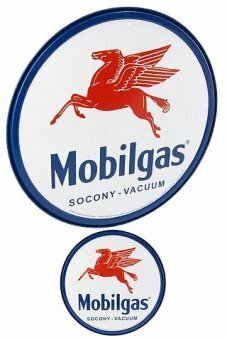 We have a unique collection of Tin Signs, Vintage Advertising and Metal Thermometers from Coca-Cola to classic robots! The famous Machine Man Robot on a printed Tin Sign! Machine Man is the most rare member of the Gang of 5 Tin Toy Robots .. The famous Target Robot printed on a beautiful tin plate sign! The Target Robot is member of the Gang of 5 Tin Toy Robot.. The famous Sonic Robot printed on a beautiiful tin plate sign! The Sonic Robot is member of the Gang of 5 Tin Toy Robots.. 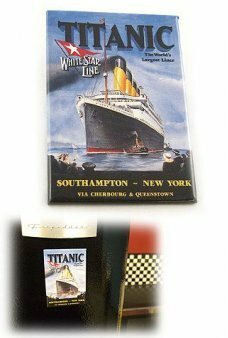 The original Titanic advertising poster printed on an attractive magnet. In 1912 the Titanic was the largest steamship ..
Ice Cold Coca-Cola Sold Here! 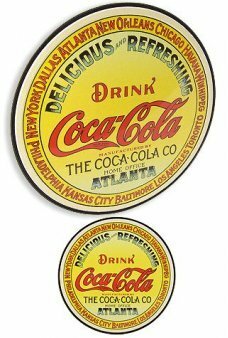 Our beautiful Coca-Cola magnet features the classic tin sign graphics from 1919. 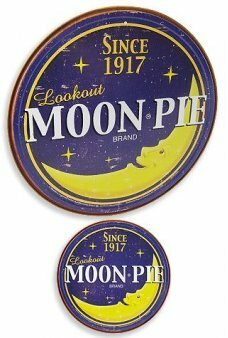 A great g..
Our vintage Moon Pie Circle Sign features the classic Smiling Moon logo of the Chocolate Marshmallow treat. Our high qua..
Our vintage Corvette Circle Sign features the classic racing flags logo for the classic American sports car. 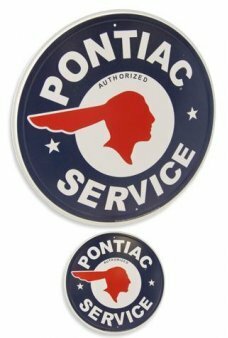 The high qu..
Our vintage Pontiac Service Sign features the classic Red Winged Indian logo. 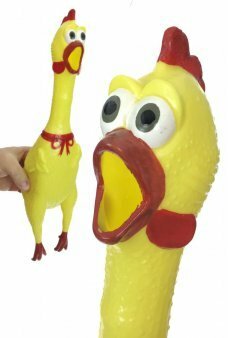 Our high quality red and blue embossed met..
Our large Squawkin' Chicken shrieks when you squeeze it. 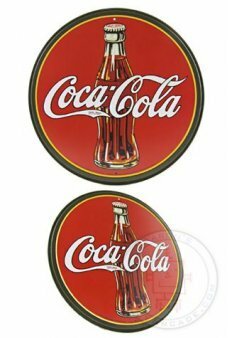 The funny 17 inch long yellow rubber chicken takes a beating an..
Our vintage Coca-Cola Circle Sign features the classic logo and iconic bottle. The high quality red and green embossed m..
Our vintage Coca-Cola Circle Sign features the classic logo that first appeared on syrup kegs and barrels. 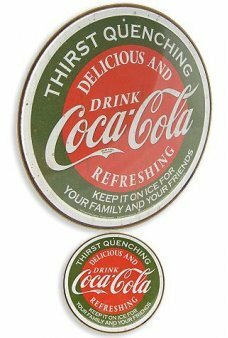 The high qual..
Our vintage Coca-Cola Circle Sign features the classic logo, “Thirst Quenching.” The high quality red and green embossed.. 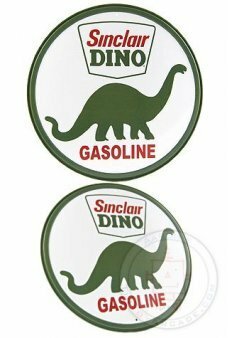 The Sinclair Dino, America’s favorite fossil fuel icon, appeared along America’s roadways in the 1930’s to 1960’s. 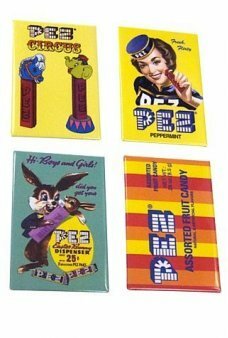 Our v..
Place deliciously colorful PEZ Magnets on your Refrigerator or Memo Board. Our high qualtiy magnet set includes 4 retro ..
Drive across America from Chicago to LA. 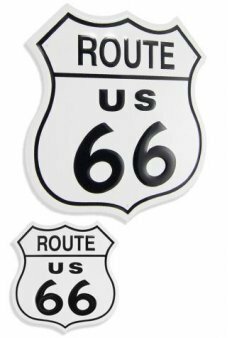 Our classic magnet recalls the golden years of US Route 66. Our beautiful blac..